« When Happy Cookies Lead To Bad Decisions! MUNICH — Although it brings together skilled players, the Münchner Symphoniker has operated as something of a fifth wheel in the musical scene here. That may be about to change. Kevin John Edusei, the orchestra’s new Bielefeld-born chief conductor, 38, revealed impressive capacities as musician and personality in a Dec. 17 Elias (Elijah) at the Herkulessaal, suggesting he will garner more attention for Symphoniker projects. Elegant and precise, Edusei is cool as a cucumber on the podium. He gestured his wishes for Mendelssohn’s 130-minute oratorio (1846) with startling economy, finding crisp tempos that flattered the lyricism of the Victorian score, and he moved almost seamlessly between its many numbers without conveying haste. He did not, however, appear much interested in dynamic nuance or in probing below the work’s surface, at cost to the drama. The orchestra’s strings lacked unity in their body of sound, something Edusei might improve over time, but the winds responded to his beat with ample virtuosity. Elias showcases any chorus; here the freelance Kammerchor München were on luminous form. Sophia Brommer, Ursula Thurmaier, Attilio Glaser, and the more senior (and more tonally expressive) Alejandro Marco-Buhrmester made up the firm-voiced and agile principal vocal quartet. Impeccable boy soloists, possibly from the Tölzer Knabenchor but uncredited, sang the Drei Engel. On Friday (Jan. 23) it was announced that Edusei will take over as Chefdirigent des Musiktheaters at the Konzert Theater Bern, the opera company of the quaint capital city of Switzerland, starting this fall. He has worked there since 2012 and is currently leading a production of Salome. 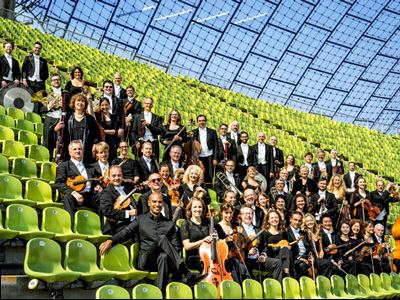 Pit ensemble for the job is the Berner Symphonie-Orchester, which gives concerts at the Kultur Casino Bern under its own Chefdirigent, Mario Venzago. No contract end date for either conductor is publicly shown. This entry was posted on Sunday, January 25th, 2015 at 6:53 pm	and is filed under Munich Times. You can follow any responses to this entry through the RSS 2.0 feed. Both comments and pings are currently closed.